If you have suffered a broken collar bone in an auto accident you have the right to claim compensation from the at-fault driver to cover your medical costs and other expenses. Broken bone injuries can be very serious and can lead to future problems such as arthritis and may keep you from returning to work. Your car accident settlement should take these factors into consideration. Broken collarbone, or fractured clavicle, is a common car accident injury. The seriousness and impact of a broken collarbone depends on the type of fracture, location, and severity. There are three different areas in which a fracture can occur on the collarbone. The outer third of the collarbone is especially vulnerable in car accidents where direct impact is near the tip of the shoulder. This type of fracture is known as a distal clavicle fracture. A person can sustain this type of fracture when he or she hits the dashboard. The part of the collarbone that is closest to the breastbone can fracture as a result of a direct blow; for example, when a victim hits his or her chest against the steering wheel. The most common of all collarbone fractures is a fracture in the middle of the collarbone. This fracture happens when a person overstretches his or her arm; for example, a pedestrian who is hit by a car and tries to break the fall with the help of the arms. Compound fractures occur when a broken bone pierces through the skin or penetrates through the nerves, blood vessels, or lungs. Compound fractures can lead to further complications such as breathing difficulties and infections. A minor collarbone fracture will take a few weeks to restore the function and range of motion of the affected shoulder. If surgery is required, the recovery may take as long as several months. Surgery involves the use of metal screws, plates, and pins to reposition the bone fragments so that they become properly aligned. Other types of treatment include the use of a sling to support the arm, pain medication, and physical therapy to strengthen the affected arm and improve range of motion. 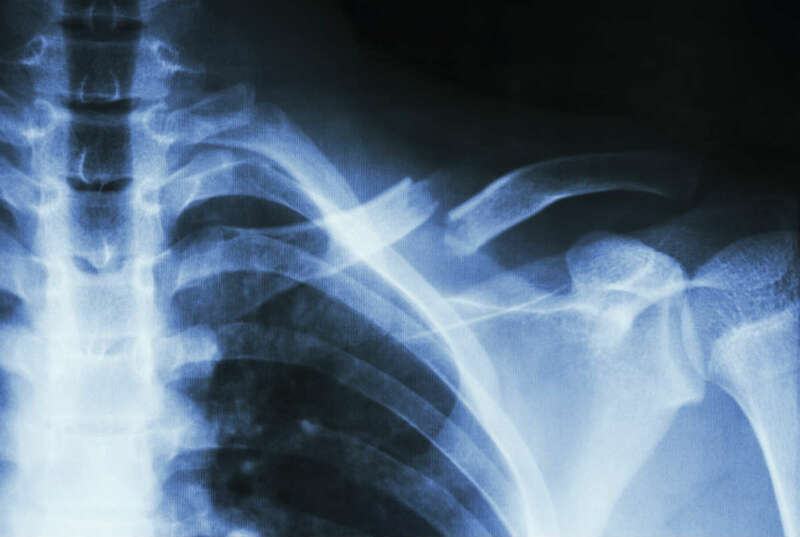 If you have sustained a collarbone fracture in a car accident caused by another person’s fault, you may be entitled to receive financial compensation. Talk to a Lawyer for Free 24/7 at (314) 361-4242!